30'' x 3/8" OD acrylic racking cane, 5' hose, racking clip, hose clamp. Use to siphon beer or wine from vessel to another. Are you really going to put your mouth on a line that your sanitized homebrew will go through? 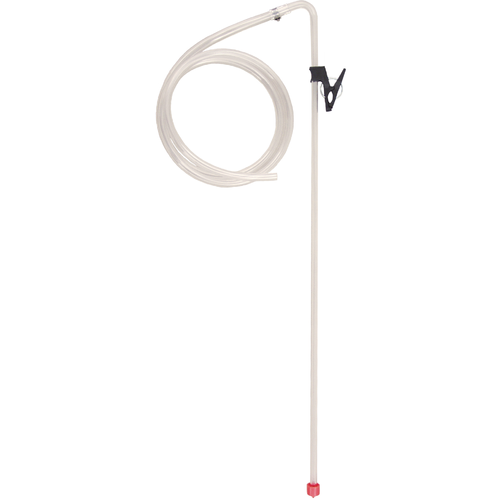 Buy an auto-siphon and thank me later.